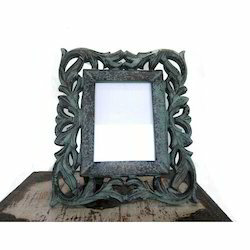 We have reached the pinnacle of success and earned a reputed name by providing high quality range of Synthetic Photo Frame. 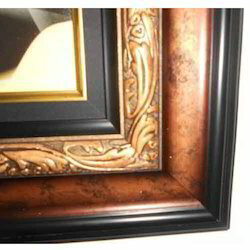 The elegant designing and the intricate detailing of the Synthetic Photo Frames makes them an antique piece. The Synthetic Photo Frames are available in various shapes and sizes and they can be placed in the households and offices as well as gifted. The company has cemented its position as a Manufacturer and Supplier of Synthetic Photo Frames, with the bulk enquiries being entertained on time. Get Kamakhya Devi Photo Frame, with Glass and golden and brown frame. With the assistance of our dedicated team of professionals, we are providing a premium quality range of Synthetic Photo Frame. This S.S. Photo Frame Can Be A Perfect Decorave Piece For Elevang The Walls Of Your Pooja Room, House, Office & Showroom. We Have Made A Photo Frame That Is To Be With You Forever AsIt Is Made From High Standard Stainless Steel & Acrylic. With extensive knowhow in this domain, we are indulged in providing a supreme quality gamut of Synthetic Photo Frame. High quality gold foil divine images in synthetic frames. Hand crafted frames and images made from gold foils resulting in one-of-a-kind, beautiful piece of functional art to suite home , office or the perfect gift.